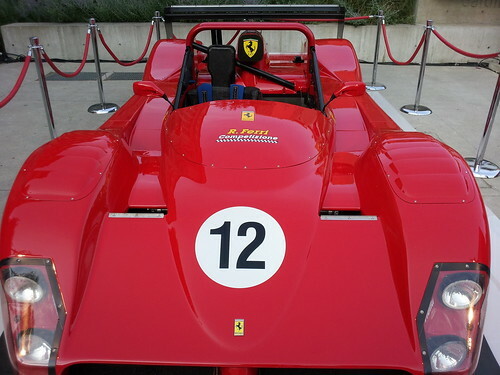 I was invited to a Ferrari Racing Days VIP Cocktail Party last night. 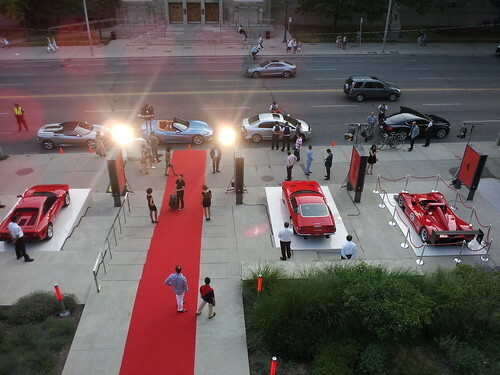 It was at the Gardiner Museum with food prepared by Jamie Kennedy and I watched Ferrari after Ferrari pull up to the valet parking before I handed Dylan the keys to my Mazda. And Dylan, thanks for looking after the Mazda. I'm sorry you drew the short straw. 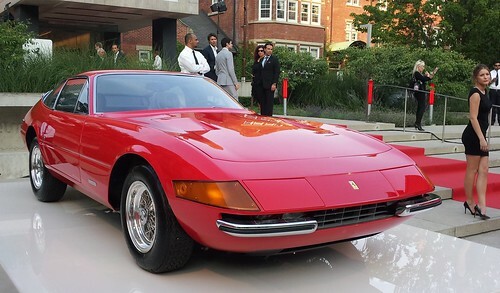 Add Ferrari to the list of automobile companies CQ hates. Hate would be too excessive a word. Hey, I googled, I found three separate Toronto Indy 10-ticket giveaway blogger portals with Ferrari USA, I only asked (here a week ago) whether it was all of the same contest - or 3 separate blocks of 10 free tickets. I did try out their 1990s screensaver last week - which was one of the worst as to being a simple install. It was a yellow rectangular logo bouncing around the screen and rotating as well. I have no idea what you just said but I'm sure it was amusing. "Duh, I don't never get whatever you wrote." Really? "If they return to the exact same white male big city blogger(s) another 7 or 8 times, plus additional marquee sponsored event tickets, while sending mommy bloggers annually to a pink-ghetto womens' conference and shoe party..."
It's a trailing commentary. I shouldn't need to specifically point out Ford Canada's ongoing lousy marketing efforts. As to my using a conversional style, you would also complain about any (real) professional writer, such as Henry James or Dashiell Hammett, for whom you automatically disagree with or else had never previously read from. This isn't the first blog posting at Toronto Mike's where YOU have pre-judged another and then publicly issued your own putdown first. I personally think Ford's marketing efforts are smart - getting loads of free mentions from a blogger with a lot of readers. Low cost, low risk, potentially nice reward...especially when other jealous bloggers give them free press. I pre-judge? You are the one suggesting I would complain about any real professional writers. I stand by my comment that I have no idea what you were trying to say. N.B. 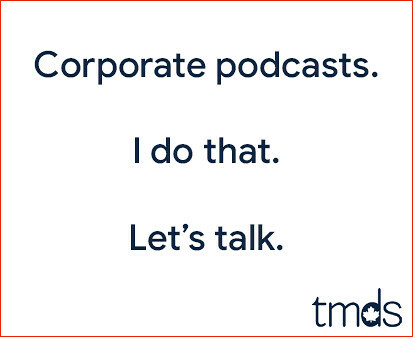 When you put quotes around a phrase you're attributing to me, you might want to actually use the phrase I wrote instead of taking creative license. Within a direct reply immediately underneath a single line putdown comment, as you've also made in previous threads, it wasn't neccessary. For the record, it wasn't a put-down, just a fact. Thanks for the tickets Mike. A friend and I ended up going late to the Ferrari Fan Zone and it was filled. So we were fortunate enough that they seatd us in the V.I.P. section with free food and booze. What a great time we had.